Exclusive Interview with Lynn Cullen, author of Mrs. Poe, on 19th Century Writers, Poe’s Reputation, and Cookies! | Oh, for the HOOK of a BOOK! 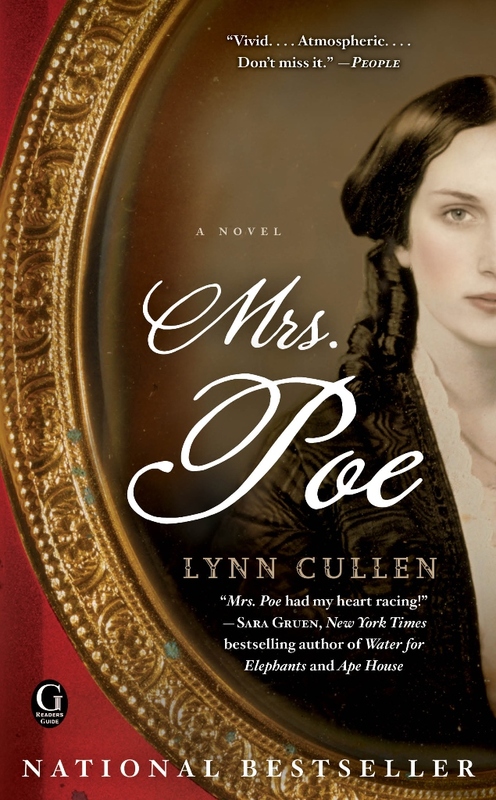 ← Giveaway for Mrs. Poe by Lynn Cullen! Enter to Win! Exclusive Interview with Lynn Cullen, author of Mrs. Poe, on 19th Century Writers, Poe’s Reputation, and Cookies! So excited today to have this exclusive interview with Lynn Cullen, author of nationally bestselling Mrs. Poe, which just released in paperback! You can view my positive review HERE and enter to WIN your own copy HERE! Then enjoy the discussion I with Lynn about Edgar Allan Poe, women writers of the 19th Century, and cookies! Hi, Lynn! Welcome to Oh, for the Hook of a Book! I am so pleased to have you here today as I am a huge fan of your book. I love history, but also have an obsession with the dark tales of Poe, so your book sold itself to me from the start. Thanks for taking a chance on writing it! I received a paper from your publisher about a publicity tour you’ve been on, and was bummed I got it a few days before you were in Columbus, Ohio, which is very close to me. I was sorry to have missed you. What a great way to kick-off your summer! How has your paperback tour been going for you so far? Lynn: Hi Erin! Thank you for inviting me to Oh, for the Hook of Book and for your beautiful and oh-so kind review of Mrs. Poe on an earlier post. It left me breathless! I’m sorry to have missed you in Columbus—it would have been fun to meet you. And what a great city for the arts! My event through the Thurber House at the Museum of Art was one of the highlights of my paperback road tour–it was a packed house. I felt so loved! Made me want to hurry home and write some more. Erin: I will have to try to catching you another time and place! I am so happy Ohio welcomed you so well! Please do come in and have seat in my comfy chairs in my library. I have some new chocolate mint tea brewing I found via fair trade, would you care for hot tea or is sparkling white wine more your style? Just say the word. Lynn: Well, since it’s evening, how about a spot of wine, please? Not that the chocolate mint tea doesn’t sound divine. But I just got home from an event at the Library of Virginia in Richmond and a drink is in order. I was given a tour of the city and the Poe Museum that left my head in the clouds. I saw Poe’s boyhood bed, a letter from Frances Osgood (nice penmanship! ), and an original portrait of Anne Charlotte Lynch from around the year of her conversaziones (boy, is she pretty!) Even better, I saw Mrs. Clemm’s stockings—which had a spider-web pattern knitted into them. How perfect is that? Erin: Wonderful, that sounds so delightful! I’ll pour. Let’s get started on the questions and we’ll break mid-way through for some crackers and brie or maybe some biscotti. Q: Mrs. Poe’s title of course isn’t meant to mislead, but why did you or your publisher choose it when your protagonist isn’t Edgar Allan Poe’s wife, but the female poet Frances Osgood? A: I chose that title from the very start. I was thinking of the book, Rebecca, in which the main character is obsessed with Rebecca, the former wife of the narrator’s new husband. Rebecca isn’t told from Rebecca’s point of view, but through the eyes of the new wife. I thoughtI would write Mrs. Poe in the same vein—written from Frances’s point of view about her obsession with Mrs. Poe. Frances wanted to be the real Mrs. Poe, and actually was more suited for that role and so should have been, hence her obsession. Q: Why did you choose Frances as the narrator or protagonist? What do you hope readers remember about Frances? Why is she not more well-known as in my mind she is one of the greatest female poets of the 19th century? A: I identified with Frances since she was a woman trying to make a living writing, never an easy thing to do, and especially difficult in 1845. I wanted to explore what it’s like to be a woman and a writer through her eyes. I wonder if Frances didn’t remain well-known long after her death because she wrote about being a mother and about love, subjects that “serious,” i.e. male, authorities on poetry discounted. I also wonder if her relationship with Poe took away from the importance of her work. Even in her lifetime, she became known for their affair and not for her poems. Q: How did you start your research, what did you do in order to research, how did you research, and basically, please explain the time and effort you put into the material of your book? A: I always start with biographies and then comb through their bibliographies for other sources. I must have collected over a hundred books on Poe, the other characters, New York, and Poe’s works this manner. Then I went to archives—the New York Historical Society Library in particular was a treasure trove of maps, directories, and city guides. Meanwhile, I made a point to visiting the site of every scene in the book. I logged in so many miles traipsing up and down Manhattan in the places Frances and Poe went that I tore the meniscus in my knee! Erin comments: Astounding, Lynn!! You certainly giving meaning to putting full force into your work!! Q: What tidbit did you come across in your research that surprised you the most? What did you find shocking that you included or didn’t include? A: I was stunned by how insane Rufus Griswold was and yet how this obvious nut was able to shape Poe’s image for all times. Thanks to Rufus G., Poe is thought of as a drug-addicted lunatic, when it was Griswold who had issues. For example, Griswold had his wife dug up 30 days after she was buried so that he could clip samples of her hair and give her one last hug—from which he had to be pried by concerned relatives. Yet while his wife was alive, he wouldn’t even live in the same city with her. I mentioned this in Mrs. Poe. What I didn’t mention was that when Griswold married again—briefly alluded to in Mrs. Poe—the marriage didn’t last because on his wedding night, he took one look at his new bride unclothed in their marriage bed and said, Nope, she’s misshapen, and left her on the spot. Not a nice man. Erin comments: Sounds like a horrid man! Ew! I know who the crazy one was now! Q: Do you feel that history is correct in remember E.A. Poe as a moody, brooding, and mad man? What do you feel that people are missing about him as a person? A: It’s our friend Griswold who portrayed Poe as these things, and because he had Poe’s papers after Poe died—which he doctored to his twisted heart’s content—and wrote the first biography on Poe, his slander stood for more than 150 years. But Poe was handsome and witty and quite the ladies’ man. 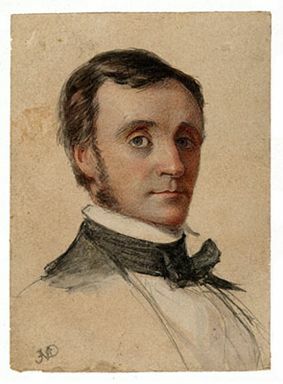 This is said to be an accurate likeness of Poe painted from life in the year he wrote “The Raven,” the year of Mrs. Poe. Griswold’s nasty work was made easier by Poe’s own dark stories, which so often featured murderers and madmen. But Poe wrote these stories for the money, not because he identified with the murderers. He was always desperately poor and had to write what sold. His new-fangled scary stories brought in much-needed cash. Erin comments: That’s so very interesting. Q: Can you explain the publishing industry for writers in the mid-19th Century of New York City? Q: Was E.A. Poe one of the first macabre, Gothic, dark fiction writers to make a name for the genre you think? Why were people drawn to The Raven, and his tales, at time in history? Why are they drawn to them today? A: Poe was one of the first Americans to write Gothic tales (in the era of Wuthering Heights and Frankenstein—English women pioneered that genre) but was the first anywhere to write the detective tale, (the Dupin mysteries) and tales of psychological horror, like “The Tell-Tale Heart” and “The Black Cat.” My theory is that people in that era were obsessed with death—death surrounded them, constantly robbing them of their loved ones—so these tales that dealt with death and the afterlife were cathartic. Even today, we still need to face our fears of death and mayhem and dark stories sometimes help with that. Q: Do feel that everyone has a love story no matter how aloof or dark they seem on the pages in our history books? Everyone has a soul, don’t they? Do they all have capacity to love? Can love and grief both make you mad, together or separately? A: Well, everyone who is interesting has a love story! And romantic love aside, every person, every creature needs compassion, attention, and love to survive. I think love the force that animates us. And yes, being kept from love, even just compassionate love, not romantic love, can destroy a person. Romantic love and desire are another story—and being thwarted from them aren’t good for a person’s health, either, wouldn’t you say? Q: What feelings do you hope to generate in people when they read Mrs. Poe? Why do you feel it has been so popular? A: We all want what we cannot have—it’s the human condition. I hope that readers can identify with that constant craving as experienced by Frances and Poe, and can enjoy the story of when a pair of soulmates found each other for a brief while. It’s a bittersweet story of longing, as is life itself. Maybe readers identify with that. I hope so. Q: Are you interested in the women’s movement that was starting in New York even in the mid-1800s? More women wanted appreciated for creative jobs such as art, writing, music, etc. and felt it wasn’t just men’s work. Who were some of the independent and ambitious women of the time that Frances might have known? A: Frances knew, quite well, the “Mother of Feminism”: Margaret Fuller. Margaret Fuller wrote the first collection of biographies about famous American women and was herself known as the most well-read woman of her times. She was a critic and columnist for the New York Tribune, actually making a living at it, and was an authority on the Great Lakes Indians. She was also a good friend of Frances Osgood and Anne Charlotte Lynch, and in real life when with Lynch to demand Frances’s love letters from Poe. Q: You are already quite an established author, what have been your biggest challenges and what are your biggest successes? A: I’ve been published for 28 years yet all this time I have been trying to figure out how to reach readers. I’ve found that as much as I love obscure corners in history and enjoy using the characters that I find in them as vehicles to explore aspects of the human condition, it’s so much harder to get people interested in your work if they are unfamiliar with your subject. I’ve finally learned that it’s more fun to even just talk to people about my work—let alone to get them to read my book– when I start out on familiar ground. With some of my other characters, I had to spend a lot of time just bringing people up to speed on the history before I could discuss what was happening in the story. With Poe, people leap right in. I’m having so much fun with this book! Q: What are some of the other books you’ve written? How do they differ from Mrs. Poe? A: Reign of Madness , The Creation of Eve, and I am Rembrandt’s Daughter all are about women who have had to forge their own paths through difficult circumstances. But don’t we all? I’m fascinated by resilient people and I’m also intrigued by how humans are always craving something. Desirous yet resilient people feature in all my books! Q: What are you looking forward to writing next? Will we see more adult novels of famous creative types or independent women? A: I’m writing about the women in Mark Twain’s life. His secretary, his wife, his daughters—they all had to figure out how to survive being around this complicated man. A: When I’m at home, I love to do nothing more glamorous than helping my daughters with their children and walking my dog. I travel a lot for research and to promote my books, which can be so much fun. I love meeting people, learning new things, and going back in time on historical fact-finding missions. Q: How do you schedule writing time in? Do you have any tips for other authors who are also mothers? A: When I was a mom with young kids, I wrote children’s books because they didn’t require as much as a commitment of my time. I still spent several hours a day at writing but not like for the 6-8 hour stretches that historical novels demand. But I’m a slow writer. Many days an eight hour session will only produce a page. My tip: Keep slogging. It will get done. You just have to have a ton of patience… and some chocolate chip cookies on hand. Q: Best loved dessert, the one you want after a really long writing or editing session? A: As you might guess from the last question, I am motivated by homemade cookies, chocolate chip or peanut butter but any other kind will do. Now I’m drooling at the thought of them! Erin: I really appreciate you coming by today, Lynn. It was great to talk to you about your book and I wish you much success in the future. Have a great rest of your tour! Lynn: Thanks so much, Erin! Thank you for your time, your insightful questions, and that glass of wine! Cheers! 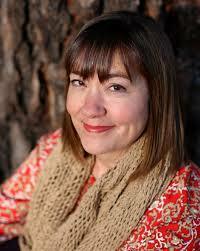 She attended Indiana University in Bloomington and Fort Wayne, and took writing classes with Tom McHaney at Georgia State. She wrote children’s books as her three daughters were growing up, while working in a pediatric office and later, at Emory University on the editorial staff of a psychoanalytic journal.